Our mission as Cumberland County School Counselors is helping students demonstrate a positive attitude towards self and others, gain career and life-planning skills, and develop responsible social skills. The development of these skills will increase school and life success. I am a certified, trained, and caring professional who works with all students, parents, teachers, staff and the community, in order for every student to achieve academic and social success. I hold a Master's Degree. All students deserve access to school counseling. All students deserve a safe learning environment. 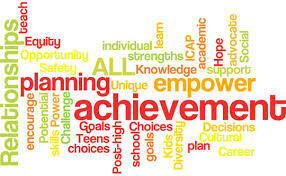 All students deserve opportunities to develop their skills, build upon their strengths and explore their interests. Community Mental Health Center at Cape Fear Valley provides outpatient mental health services for children, adolescents and adults. Patients are seen by appointment and on a walk-in basis at the Community Mental Health Center at Cape Fear Valley, 1724 Roxie Ave., Fayetteville, N.C. 28304. Call 910-615-3333 if you desire an appointment or require additional information.